Vietnam War Serrated Bowie Knife and Molded Sheath | BUDK.com - Knives & Swords At The Lowest Prices! Each traditional Vietnam knife is equipped with a 7 1/4”” stainless steel blade with teeth like serrations. The rubberized handle allows for a superb grip with no worries of slipping. 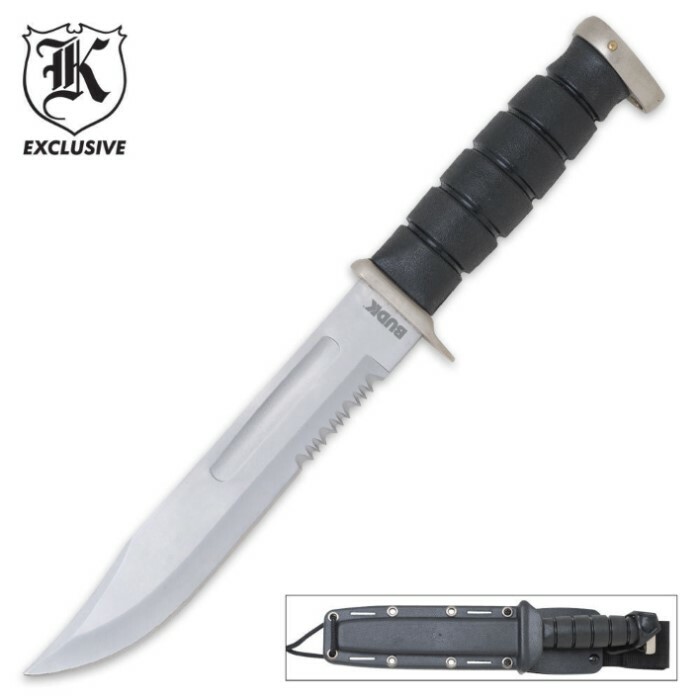 The military style impact resistance sheath is designed to hold the knife securely but, offers quick and easy access. The ultimate survival knife that doesn’t cost a fortune. Best knife I've ever had. bigger and better than i expected! "So great, I bought two more"